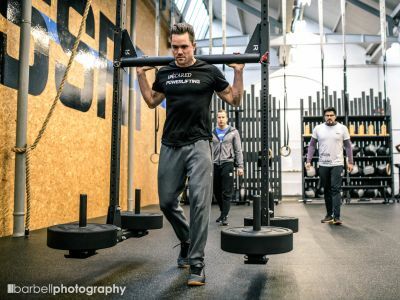 "Constantly varied, functional movements, executed at high intensity," is the long-standing creed of CrossFit. The key to the success in CrossFit is intensity. When the intensity is too high or is applied in the wrong way, it often and unfortunately also means injury. 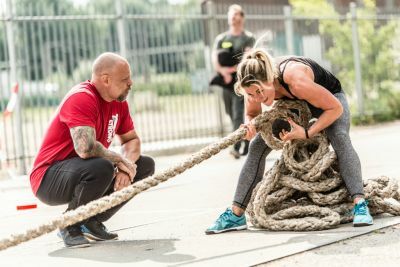 In this article, I attempt to provide a solution for the issue of intensity in CrossFit and use an important concept from the StrongFit training philosophy to help provide a guideline for every coach, which they can use to apply 100% intensity safely even to the most inexperienced athletes, without worrying about the risk of injury. Voeding voor CrossFit: Game day! 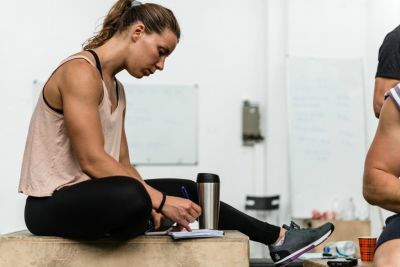 Op wedstrijddagen, in het bijzonder met meerdere workouts op één dag, wordt je voedingsbehoefte voor optimale performance iets anders dan op een normale dag. Wat kun je nu het beste eten om je performance te optimaliseren wanneer het er echt toe doet? In the previous two parts, we talked about coaching values and training philosophy. We will get more practical in this last part of the series, illustrating how your values and philosophy can take your coaching to the next level. You do not necessarily need to be a good athlete to be a great coach, but you do need to be a good educator, in terms that you need to be able to get your intentions and methods across to your athletes. Being a good educator is not just limited to didactic skills, it also includes your willingness to transfer knowledge; your willingness to put in the effort to make your athletes understand your motivations behind what you make them do on a weekly - or sometimes daily - basis. So, where do you start? 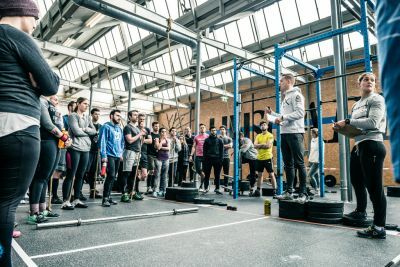 The second part of this three part series discusses the framework of - and need for - a training philosophy for a CrossFit box. In my previous blogpost in this series I described coaching values, their goals and practical application. I outlined how core values play an important role in how we act as coaches in relationship to our community and athletes. So, what's the difference between coaching values and a training philosophy? What sets a great coach apart from a good coach? After taking way too long finishing a Philosophy degree followed up with three years of leading a growing team of coaches being Head Coach at UnScared, it became clear to me. If I’m unaware of my own core values, there is no real meaning to - or philosophy behind - the words that I use when coaching, I’m simply just another person telling another person to work out. 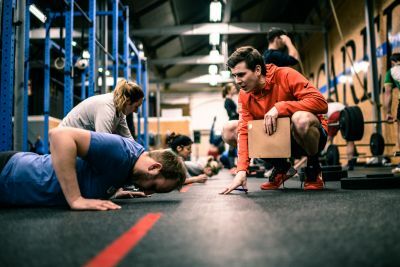 Every great coach has a set of coaching values and a training philosophy as a fundament for their coaching style and the physical workout they expose their athletes to. NEW YEAR’S RESOLUTIONS: Do they work? How do I keep them? The start of the new year is the remarkable moment that millions of people undertake an effort in setting new goals, also known as ‘New Year’s resolutions’. This also means a lot of people will make new fitness goals. Therefore I’ve reviewed the scientific literature to investigate resolutions and its effectiveness, and also predictors of success. 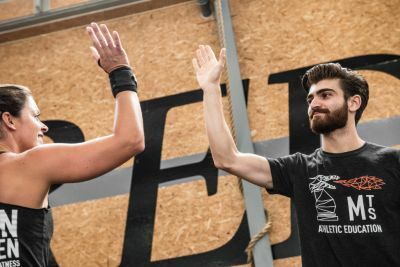 CrossFit presenteert zich als een 'complete' sport, maar of dit in de praktijk zo is hangt volledig af van de programming van je box. 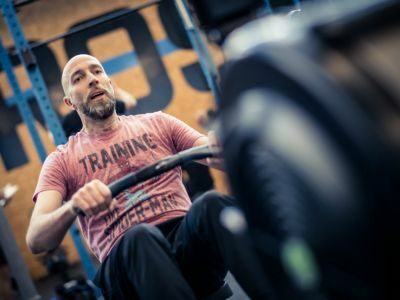 Welke dingen zijn nu belangrijk voor blessurepreventie en belastbaarheid in het dagelijks leven, die minder voorkomen in typische CrossFit workouts? 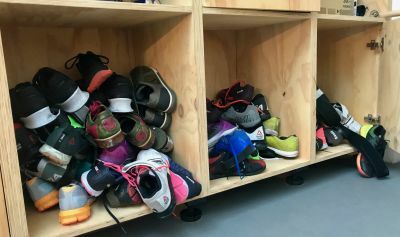 Als je een CrossFit box binnenloopt en eens kijkt naar de schoenen waar mensen op trainen zie je veel verschillende schoenen. De nieuwste Reebok Nano's, Nike Metcons, Nobull lifters, Chuck Taylors, goedkope hardloopschoenen van de Scapino, Vibram five fingers... Noem maar op. In deze post wil ik kort uiteenzetten wat de voor- en nadelen zijn van bepaalde schoenen in bepaalde situaties en jou en je atleten hopelijk op weg helpen naar de juiste keuze qua schoenen. 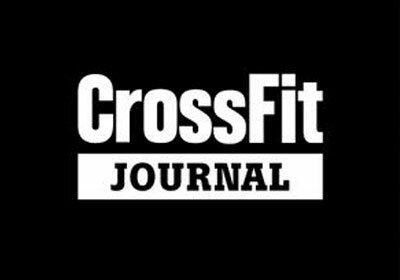 “Constantly varied, functional movements, executed at high intensity” is het oude credo van CrossFit. 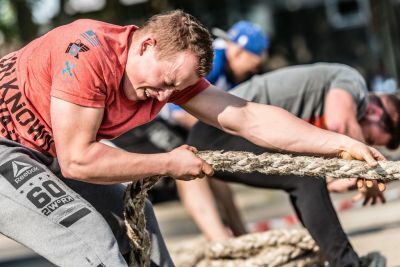 De sleutel tot het succes van CrossFit is intensiteit; helaas betekent “intensity” wanneer het te veel, te vroeg of verkeerd wordt toegepast, vaak ook “injury”. Met behulp van een belangrijk concept uit de StrongFit trainingsfilosofie kan elke coach veilig 100% intensiteit toepassen op zelfs de meest onervaren atleten, zonder dat blessurerisico een zorg is.